Care must be taken to differentiate Thomas Cubitt’s brother Sir William Cubitt of Buxton from another Sir William Cubitt of Dilham, a notable civil engineer born ten miles from Buxton, and also buried at Norwood. 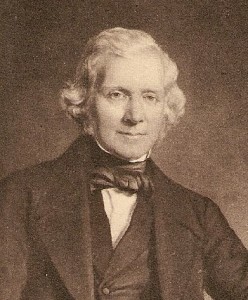 William Cubitt was the second of the three distinguished brothers, the other two being Thomas, another famous Victorian builder, and Lewis, the architect. On 17th April 1791 William was baptised at Norwich, Norfolk. The family migrated to London a few years later. Like his brother Thomas, William went into the Navy. Four years later he joined Thomas as a carpenter and partner at premises in Grays Inn Road, some of the time with their younger brother Lewis. In 1827 the partnership was dissolved, possibly because the more cautious William worried at Thomas’s speculations in land just when the building industry was in the doldrums. 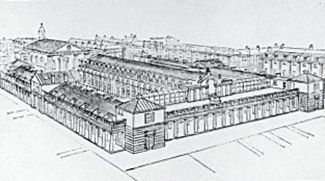 After the brothers split up, William kept on the Grays Inn Road works with 700 men, focussing mainly on the civil engineering/contracting side, while Thomas and Lewis continued speculative developments on the Grosvenor Estate and elsewhere. In 1831 Lewis went back to William, and “W Cubitt and Co” became, like Thomas Cubitt, one of the foremost London contractors. 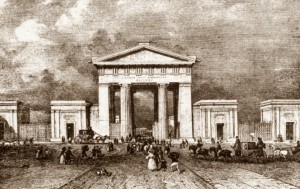 They constructed much of the southern sections of the London and Birmingham Railway, including Euston to Camden and Boxmoor to Tring, as well as Euston Station with its famous portico and the Camden engine shed. 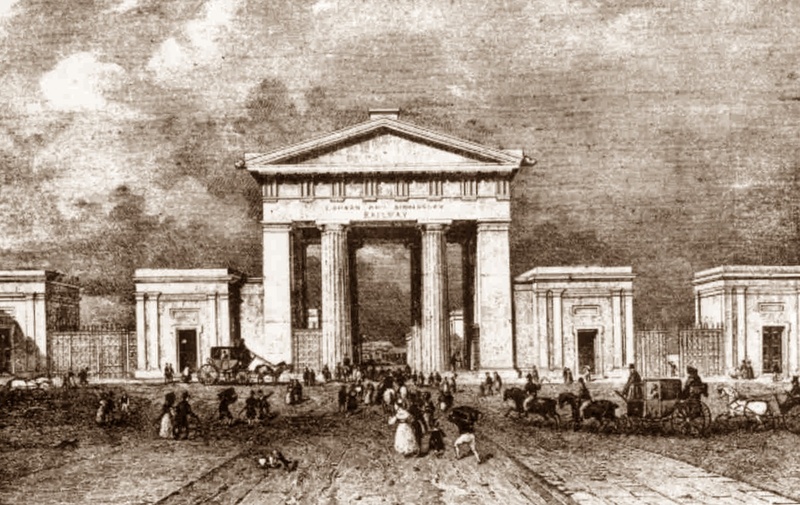 They built many important structures (including Covent Garden and the new Fishmonger’s Hall), they repaired Westminster Bridge, and rebuilt the Stock Exchange. Like his brother Thomas, William also did some speculative building, reclaiming and developing a large area in the Thameside Isle of Dogs (still known as “Cubitt Town”) in order to house workers in the adjacent shipyards, docks and factories. William also created many local businesses, and the firm had its own extensive works there covering 25 acres. William amassed a large fortune from his business enterprises, and used much of it for charity. 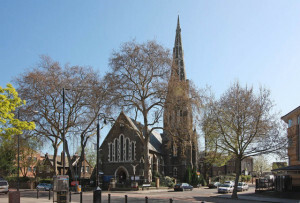 He helped finance Christ Church, giving the Isle of Dogs its own parish for the first time in 1857. He was Sheriff of London for 1847, Alderman in 1851, and Lord Mayor of London for 1860-61 and 1861-62 (his address in the 1861 census pleasingly being “Mansion House”). He gave splendid hospitality to commissioners of foreign countries and others connected with the International Exhibition. He was MP for Andover 1847-1861 and in 1862, a magistrate for Middlesex and Surrey, Prime Master of the Fishmongers Company. and President of St Bartholomew’s Hospital. He did much to originate the public subscription for the erection of the Albert Memorial and served on the Committee that decided on its design. On Christmas Day 1814 at St Andrew’s Holborn William married Elizabeth Scarlett (born 1792), daughter of William Scarlett of Norfolk, possibly related to his mother Agnes Scarlet(t). They had one son and at least eight daughters: Mary (1815) who presumably died in infancy, Mary No 2 (1817), Eliza (1818), Thomas (1819), Marianne (1821-?1823), Laura (1823), Rosa (1824), Emma (1826) and Maria (1827), all baptised at St Pancras Old Church except Mary the firstborn, baptised at the church where her parents had married. It has not been possible to trace all of their children forward, but Laura married Joseph Francis Oliffe, later a distinguished physician who was knighted, and was one of the executors of William’s substantial estate. In 1843 William bought Bedford Hill House in Balham, only a mile or so from his brother’s house at Clapham, and in the Post Office Directory of 1851, his address was Clapham Common South Side, when he was described as “Builder”. 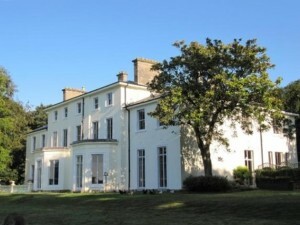 For his country house William bought Penton Lodge near Andover in Hampshire, renovating the building and adding wings. Many years later it became a recuperation hospital for US airmen during World War 2, and then a girls’ boarding school. It is now once again a family home called Penton Park, also hosting weddings and corporate events. In 1851 William retired completely from the firm. He died at Penton Lodge on 28th October 1863 aged 72 and was buried on 2nd November. Amazingly, in almost every Lancashire cotton town, a funeral sermon was preached at the request of the workers who had not forgetten the warm-hearted way in which, as Mayor of London, he had inaugurated a relief fund of over £500,000 when they were thrown out of work by the American Civil War. On the Sunday after his funeral, muffled peals were rung in over fifty churches in his memory. References for William Cubitt are included on the composite list of sources consulted for Thomas Cubitt and all members of his family. These are to be found on Thomas Cubitt’s page, but details for the individual family members are available if required. Most of the sources mentioned can be viewed online via Ancestry, Find My Past and Free BMD.